""Signs of life outside the glitz of the Las Vegas Strip." 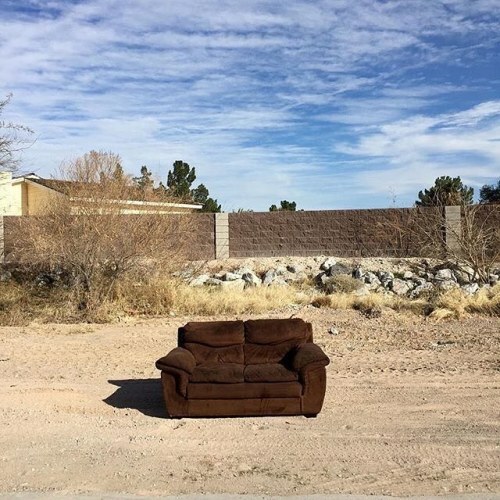 @malmeidapix photographed this outdoor seating while on #nytassignment in Las Vegas, where she will be covering the upcoming #nevadacaucus. Presidential candidates are expected to arrive soon, with the Nevada Democratic Caucus on Saturday and the Nevada Republican Caucus on Tuesday. Follow @malmeidapix to see more photos from the #election2016 campaign trail. #regram" By nytimes on Instagram.